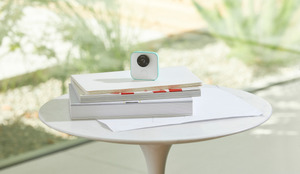 Two months ago, we launched Google Clips, a lightweight, hands-free camera that captures life’s beautiful and spontaneous moments with the help of machine learning and motion detection. Since then we’ve seen some great clips from moms, dads, and pet owners who have captured candid moments like this, this and this. When it comes to kids and pets, you never know which moments you’ll want to capture. It’s not just about them smiling, looking at the camera, or posing on request (near-impossible with kids and pets who don’t want to sit still!). You may want to get your daughter jumping up and down in excitement, or your son kissing your cat. It’s all about the little moments and emotions that you can't stage or coordinate ahead of time. To help capture these moments, we’re adding improved functionality to Clips so that it’s better at recognizing hugs, kisses, jumps and dance moves. All you need to do is find the best vantage point as you go about your day, and turn Clips on. We’ve also heard from families using Clips that they want to be able to connect the device with more than one phone, so we’re adding family pairing this month, so that more than one family member can connect their phone to the Clips device to view and share content. Clips’s improved intelligence can help you capture more of the candid and fleeting moments that happen in between those posed frames we are all so familiar with. If you want to learn more about how Clips knows what makes a moment worth capturing, you can check out all the details on the Research blog. Look for our May update this week (just in time for Mother’s Day!) on your Clips app and try out the improved functionality. For those of you who are looking to try it out, you can get $50 off in our Mother’s Day promotion.